← Tactile Cues: inherent advantages? A green “orchid bee”, Euglossa spp. Encircled in red is the specialized hind leg pocket (Hind Tibial Organ), of an Euglossine bee. The “conveyor belt mechanism” by which Euglossine bees collect and concentrate fragrances in their hind tibial organs. This fragrance collecting behaviour is crucial to the survival of many orchid species, as some orchids do not produce nectar (as nectar is a typical reward for pollinators, non-nectar producing orchids reward orchid bees with fragrant compounds instead). At least 197 species of orchids are exclusively pollinated by male Euglossine bees! 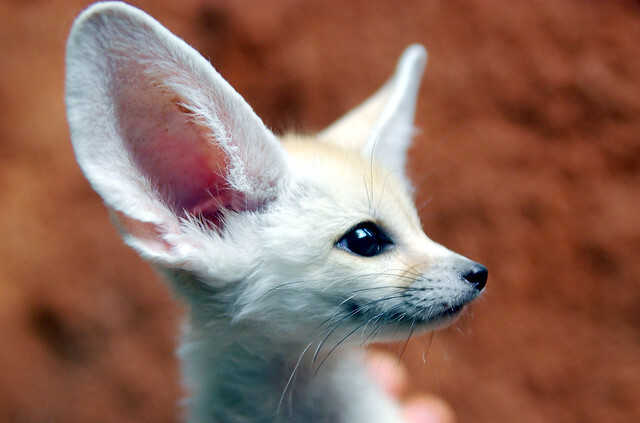 So not only is this behaviour incredibly cool, but it’s also extremely important! 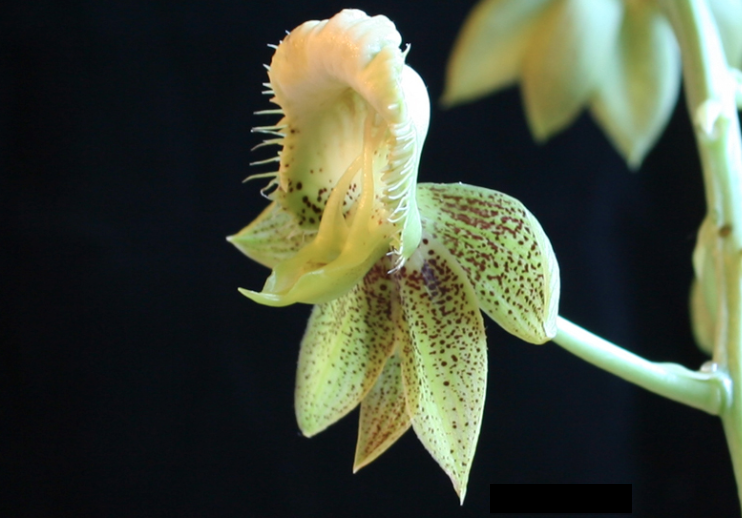 Catasetum atratum, one of many beautiful species of orchid that is exclusively pollinated by male Euglossine bees. 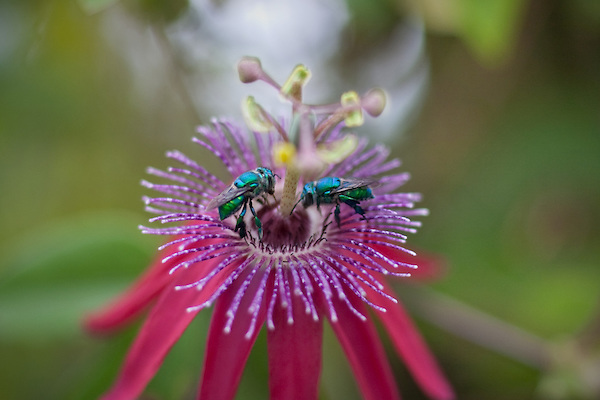 1) Orchid bees do not exclusively pollinate orchids; they pollinate other flower families, too. 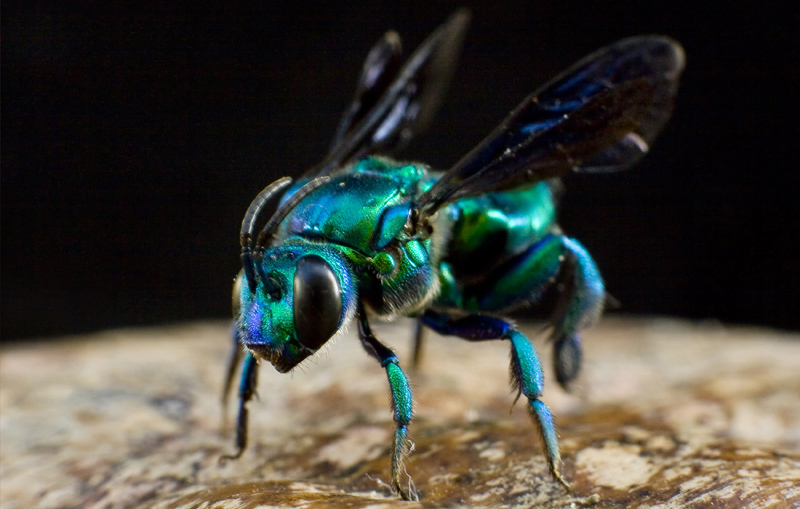 2) Not all orchid bees are a metallic green; some species are a metallic blue or gold, other species aren’t metallic at all. 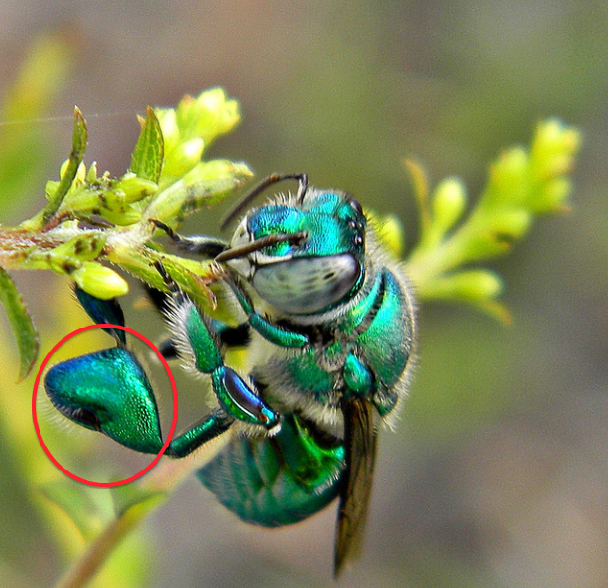 3) Not all “orchid bees” make perfumes, some are kleptoparasitic of other orchid bees! 4) Fun fact: one species of orchid bee was recently named Euglossa bazinga – after Dr. Sheldon Cooper of the Big Bang Theory! Two Euglossine bees on a passionflower (Passiflora spp. ).